This work was created on occasion of the exhibion The Museum of Unconditional Surrender, curated by Niekolaas Johannes Lekkerkerk in TENT Rotterdam. It has the same format as a typical A4-sized handout that are used often during exhibitions. 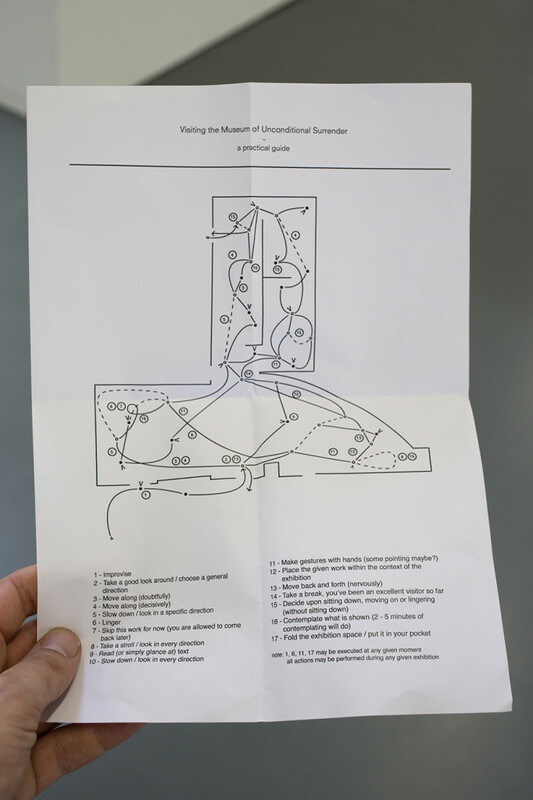 Instead of being a practical map of the works shown in the exhibition, this handout describes a hyper-specific route or choreography through the space in which the visitor is encouraged to sharpen or soften his or her focus during specific parts of the exhibition, to accelerate his or her pace or to improvise. 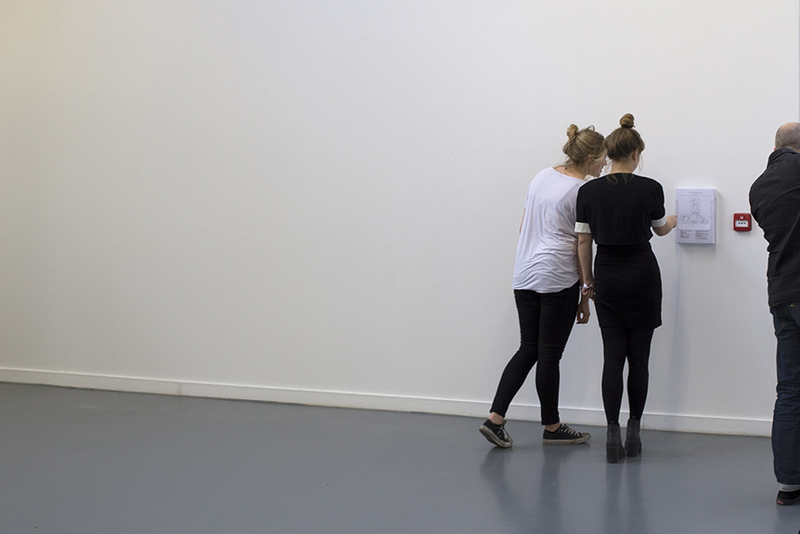 It is a performative reaction on handouts acting as manuals instead of contextualizations, while meanwhile focussing on the mobility of the visitor in relation to the exhibited work. 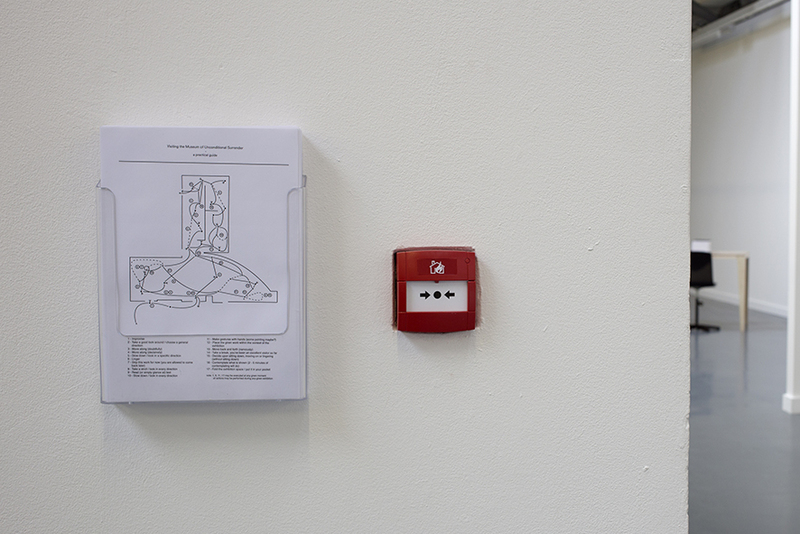 The work was printed in an unlimited edition during the exhibition. All pictures taken in TENT Rotterdam. 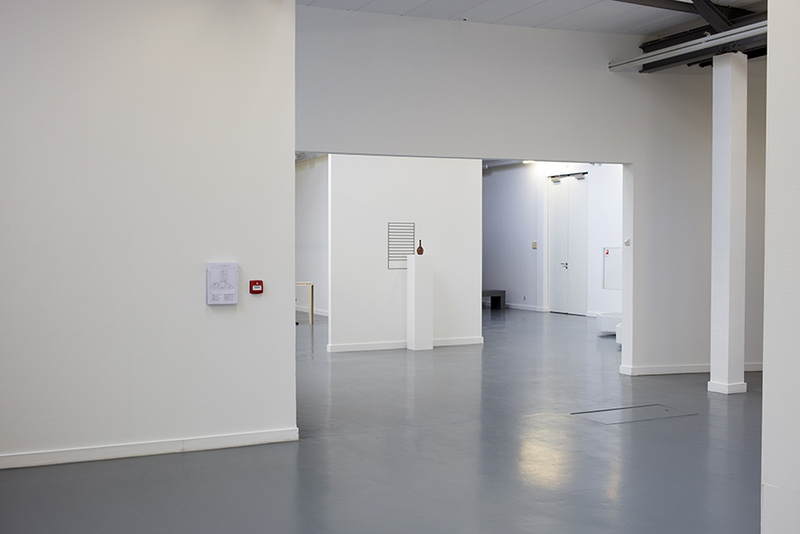 Installation view at TENT Rotterdam, with work of Haris Epaminonda in the back.